Mix cumin and coriander, making sure to meld. Rub into flank steak. 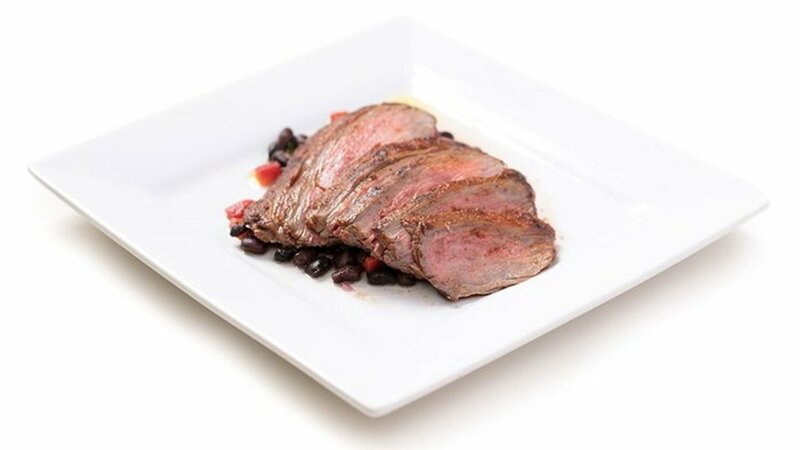 Grill or sauté for about 4 minutes on each side, or until internal temperature reaches 135 degrees F.
While the steak cooks, combine red onion, roasted red pepper, cilantro, black beans, vinegar, and olive oil. Mix, and garnish with salt and pepper.